Steel is rapidly becoming the material of choice for residential buildings and has been used in commercial construction for decades. Steel is 100% recyclable - durable - resistant to fire - termite free - doesn't warp, crack, mold or rot. Building out of steel saves energy because up to 65% of all steel used today, has been recycled at least once already. Steel is stronger than wood and holds its beauty far longer than other roofing and building materials. If you are looking for a "Green Building" and interested in helping "Save The Planet", then we are here to help. 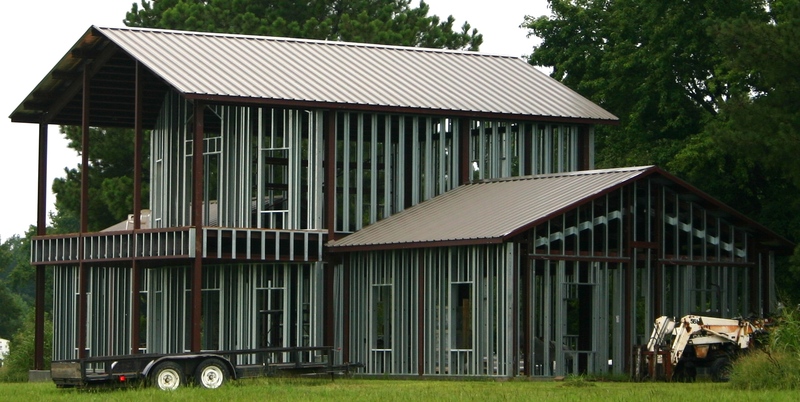 All of our steel buildings are pre-engineered, for each specific building location, in order to meet local state, county and/or city codes. With 20+ years of field experience, we can take care of the installation, 100% to your satisfaction, guaranteed. 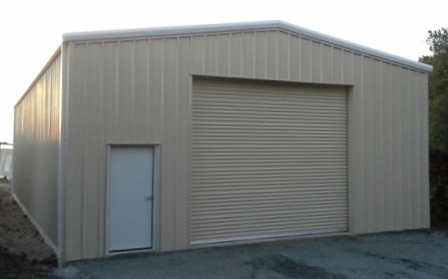 All Metal Construction does not sell "in stock, clearance or unclaimed" steel buildings, like some of our competitors claim to have. We design, sell and install steel buildings, steel homes and shade structures. 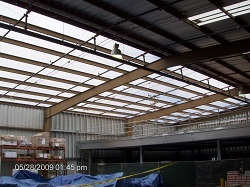 We also do repairs and offer maintenance programs for customers with existing steel buildings. 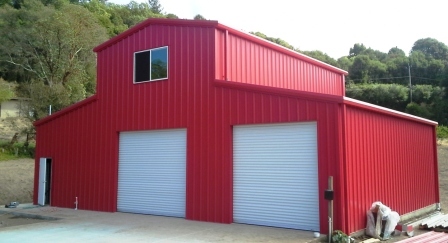 To schedule an appointment for your new steel building, Get a FREE quote for a New Building or get a free repair quote, call Graham direct at 408.210.7324. We look forward to hearing from you, so please feel free to send us a message on our contact us page if you have any questions. "We thank Graham and his crew for helping to make this growth possible". Brooke Sampson, Second Harvest Food Bank. "Graham impressed us with his workmanship, attention to detail and completed the mini storage unit reconfigiration remodel ahead of schedule". 1. Design: Click on "Get a FREE Building Quote" and fill out the form, telling us your specific requirements like the building size, roof pitch, how many doors and windows and any extras you might want and we will design it and get you an accurate quote. 2. Soils Test: A soils test is sometimes required, depending on the building size and/or county requirements. If necessary, a soils engineer will need to drill on site to get soil samples in order to prepare your report. From this report, we will design the foundation, specific for your building size and location. 3. Plans for Permit: Our buildings are pre-engineered and come with wet stamped building and foundation plans from our certified engineer. Also included are all the necessary calculations that will conform to your county or city codes in order to get your permits, if required. 4. Installation: We can also install your building. This we do according to the Metal Building Manufacturers Association (www.mbma.com) specifications and your approved plans or you can erect the building yourself with your own installers. If you decide to do it yourself we will provide an installation video and offer free support during your installation process. 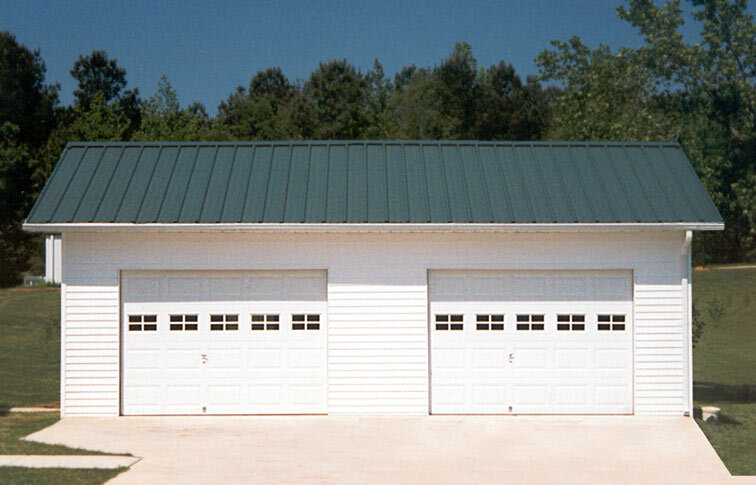 We do all types of repairs and offer annual maintenance programs to keep your metal building in tip top shape for years to come. We also install doors, windows, skylights, roof and sidewall vents, roof hatches and canopies to existing buildings. Below are some of our completed projects.